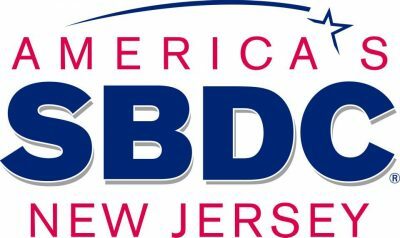 (NEWARK,NJ – February 22, 2017) – America’s SBDC New Jersey Headquarters, located at the Rutgers Business School, issued its annual small business deliverables impact accountability report for 2016. The 12-center network, serving small business owners and entrepreneurs in all 21 counties, provided one-on-one management consulting for 4,228 small business owners and entrepreneurs. Fifty-seven (57) percent were established businesses in different business life cycles with varying ranges of revenue and employment. The network delivered 19,514 total counseling hours. The report also noted that NJSBDC clients generated an estimated $1.329 billion in sales revenues, conservatively generating $70 million in sales tax revenues to the State Treasury, notwithstanding additional business taxes paid to the state of New Jersey. State funding investment and other non-federal grants, including private sector foundation grants and sponsorships, help the NJSBDC match federal U.S. Small Business Administration (SBA) funding in order to obtain its full federal funding amount on the basis of population. A dollar for dollar match is required. The New Jersey Small Business Development Centers network, one of the first pilot projects in the nation, has provided comprehensive services and programs for small business in New Jersey for 38 years; SBDC experts help businesses expand their operations, manage their growth, or start new ventures. Expert staff and practicing business consultants help small business owners and entrepreneurs to develop business plans, find financing, accounting and financial analysis, identify new markets, initiate marketing strategies, find procurement and international trade opportunities, learn green sustainability practices, commercialize technology and develop an E-commerce presence. This non-profit network, a federal-state-educational partnership, leverages funding from the U.S. Small Business Administration (SBA), the N.J. Business Action Center, the educational institutions that host the 12 centers as well as other private sponsorships and additional private/public grants. The NJSBDC Headquarters, located at the Rutgers Business School in Newark, NJ, oversees the network which is an accredited member of the national network of America’s SBDC. Up to 1,000 centers and satellite offices serve small businesses across the country, generating jobs, new businesses and economic development. Visit www.njsbdc.com.